Well, my friends, when you lost data on your iPhone suddenly, what would you do? Exclaimed your misfortune on Twitter like Lyn Denny? Quietly accepted the truth and do nothing? Ask your friends for help? Send your iPhone to Genius? Find the solution on the internet? I can't say you are wrong, but if you cherish your data very much and extremely anxious to get it back, then you can follow the Do and Don’t below after lost your iPhone data. 1. Stop writing more data into your iPhone! 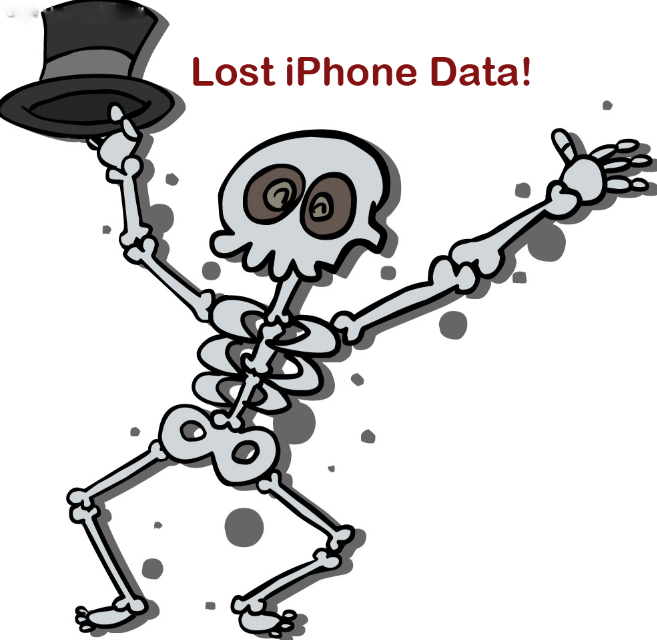 Yeah, the lost data still can be recovered after lost or deleted from your iPhone memory, but what you should notice is that once the store space is replaced by the new files, then your files will lose forever, God is helpless. 2. Don’t sync your iPhone with iTunes! If you own an iTunes backup, first recall whether the lost files contained in the recent iTunes backup. If so, then don’t sync your iPhone with iTunes until get your files back. 3. Don’t adopt the solution randomly! It is not wise to try every way you found on the internet, the wrong way could due to serious consequences, like iPhone stuck in recovery mode, White Apple logo etc. Stop doing the “Must Not” mentioned above. Then choose the best way for iPhone 5S data recovery. By far, you have 3 choices to get your iPhone data back. Choice 1: Restore iPhone contacts, text messages, photos, notes and more file from iCloud backup. Choice 2: Extract iPhone files from iTunes backup file. Choice 3: Recover iPhone data without backup with Tenorshare iPhone data recovery software. All the detailed professional tutorials can be found in this professional iPhone 5S data recovery blog.